Which map do you think is graphically superior? AndyDufresne wrote: NDRS---I don't know who you are, but you should hang out in the Foundry! I agree wholeheartedly! Nice work. Very nice work. Thanks all –– and gg to all who participated! See you around the Foundry soon. 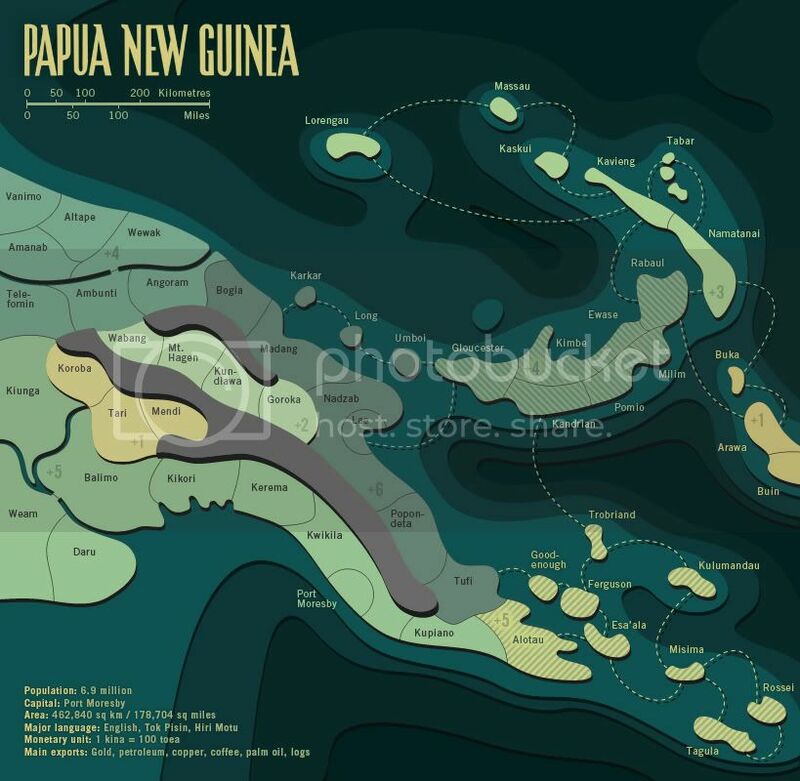 Re: [Official] Papua New Guinea Graphics Contest. VOTE NOW! gimil wrote: As per DiM's request I have removed him from the final poll. no you haven't. and you should have removed me from the competition on Sat Oct 29, 2011 7:08 pm when i asked via PM, not now when everything is over. ndrs wrote: Thanks all –– and gg to all who participated! you already received my congrats yesterday but it can't hurt if you receive them again. gimil wrote: Wow this seems to be a reasonably close competition. Should the final result remain close I may have to run second round poll between our two front runners! Why was this not done? Only one vote between the two front runners. gimil wrote: As per DiM's request I have removed him from the final poll. Which means I can declare entry 6 by ndrs. I shall PM him with the details of how to get his map running in the foundry. DiM is very good, but as his entry went through to the end and was not removed as he asked, it seemed a bit premature to declare a winner. in my opinion one of the most ugly maps wins. zimmah wrote: in my opinion one of the most ugly maps wins. Well, it's a good thing this one's an exception, then, eh? Congrats on your win ndrs, with your very curvy map. I like the country stats at the bottom. Let's play!